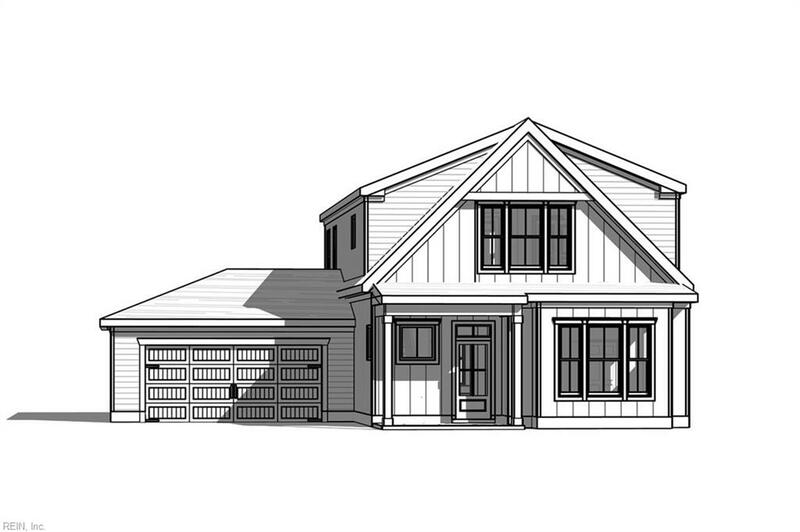 The Nottoway proposed construction by award winning Stephen Alexander Homes features 3 bedrooms and 2.5 baths with a stunningly open and livable floor plan. Chef's kitchen 42" upper cabinets including crown molding on upper cabinets. Cabinet design also includes large island with built in table area and custom built in legs with ship lap detail. First floor master bedroom and Spa like bath. Private LARGE wooded and waterfront lots available with a wide selection of floor plans to build your dream home with Stephen Alexander Homes at The Point on Fishers Creek which is centrally located to Shopping, Schools, Military Bases, Hospital, Christopher Newport University, Port Warwick, City Center at Oyster Point. Love where you live!